Other than the fact that The Crimean War took place, I know nothing about it. Heck, my fine American public school education in history barely mentioned Waterloo. 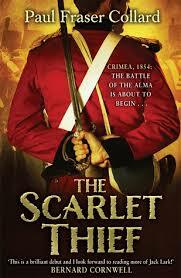 So, once again I ventured into unknown historical-fiction territory as I, after being poked and prodded for months to do so by various sources, finally picked up The Scarlet Thief by Paul Fraser Collard. I must offer a public thank you to those various sources for their sage advice. The author has delivered an exciting tale; one of those books that had me reading farther into the night than I had intended; one of those books that had me searching ahead to see how long the next chapter was in an attempt to convince myself to put the damn bookmark in and get some sleep. Jack Lark, the protagonist in this series, a lowly army orderly finds himself in a position to rise above his station(I am going to be intentionally vague about details so as to not deal out spoilers). 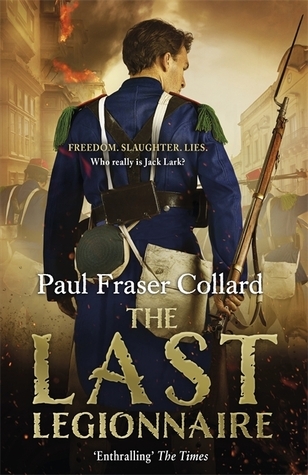 Thus he finds himself as a captain and leader of a fusilier company on the Crimean Peninsula as the British, French and Turkish armies converge on Sevastopol to try to wrest it from the Russians. 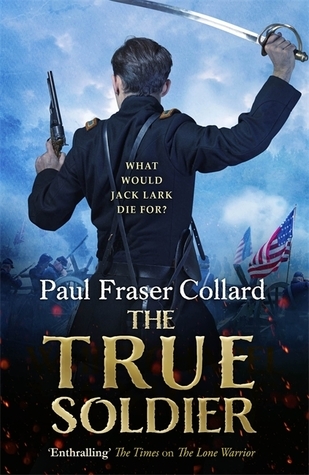 Mr. Collard does a fine job in setting up the circumstances leading to this point complete with a nasty piece of work who can threaten to expose Jack’s identity thereby creating an exciting sub-plot during the battle at the Alma River. Now, as good as the book is through the first three-quarters of it, the author really steps it up a notch during the climatic battle including the horrors endured and the heroic actions as the three armies cross the Alma. It is an excellent example of how battle plans are rendered useless as chaos is the only battle plan that emerges during the ensuing carnage. I have read many battles by many different authors over the years and this one ranks among my favorites and is a foreshadowing of the horrific battles in the next decade’s Civil War in America. 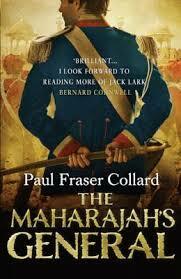 Kudos to Paul Fraser Collard and my apologies for not getting to this sooner. 5-stars and a hearty Hoover Book Review recommendation.